There’s nothing like a fresh coat of nail polish to make you feel put-together. Don’t you agree? We’ve been doing some major home renovations and my nails are in desperate need of a good manicure! I love doing my own at home and wanted to share some of the most stylish nail polish colors. These are my go-to’s and always look chic! Being neutral tones, they are elegant and best of all, the shades effortlessly match any outfit. 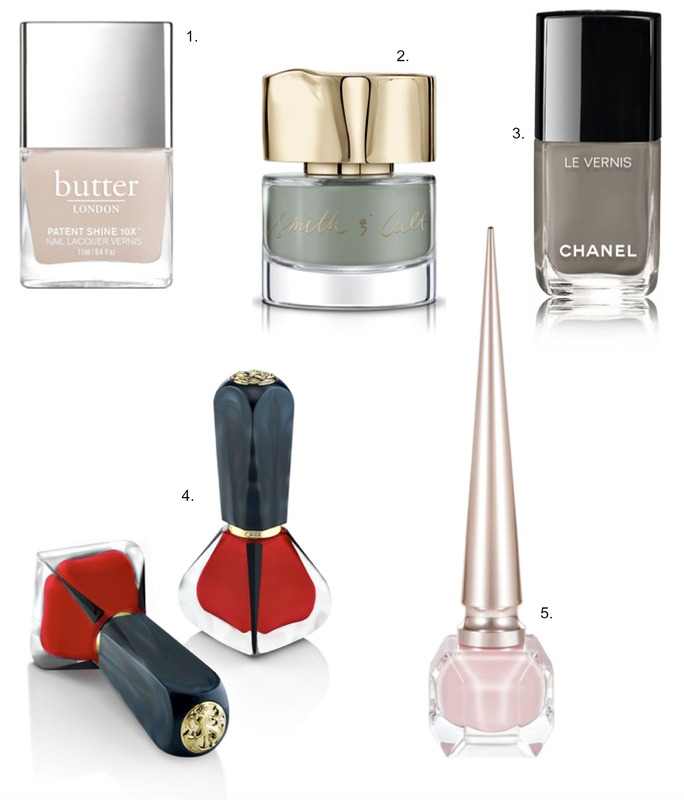 Do you like neutral tones or bright colorful shades of nail polish? 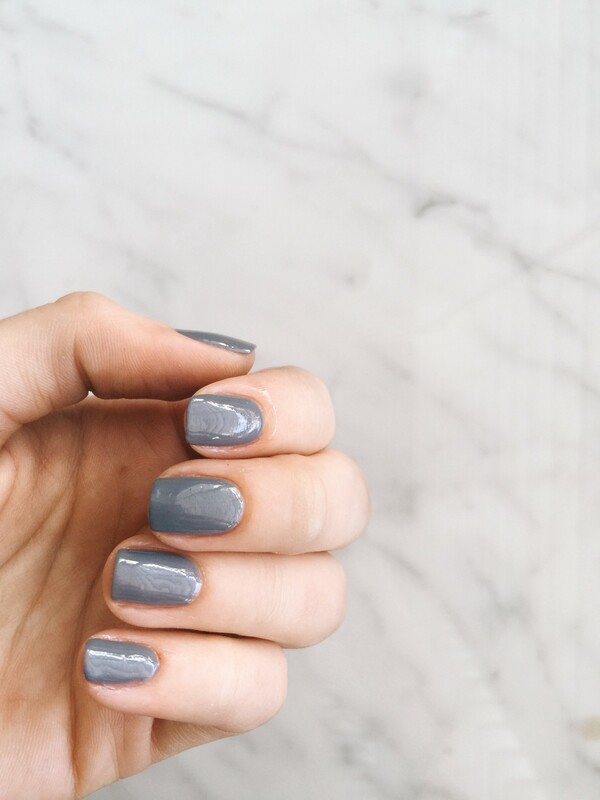 I am loving grey nail polish, it’s the ultimate neutral! Do you have a fave color or brand? Leave a comment and let me know! Ooh I love playing with new nail polish colors! Although I tend to lean more towards neutrals and darker colors. My favourite nail polish colour is Essie Gel Couture “Pinned Up” – its a beautiful soft dusty rose pink that goes with everything! Grey is beautiful color and love it too! I use Sally Hansen’s extreme nails in bright colors and love all the shades! I have yet to try white though. It always reminds me of white out! I love a taupey-gray nail polish—my favorite is Particuliere by Chanel! Thanks for sharing all of these!